Few things suggest you should stay away from a person more than Post Malone’s forehead tattoo, which literally reads “STAY AWAY.” And yet, the sign seems to have backfired for the rapper, who garnered himself even more attention than he already had when he got the ink and then explained it away by saying, “I kind of just wanted to, I don’t know, piss my mom off.” The “White Iverson” scribe is part of a generation of rappers with visages that look like the doodles on the back of a middle schooler’s notebook. 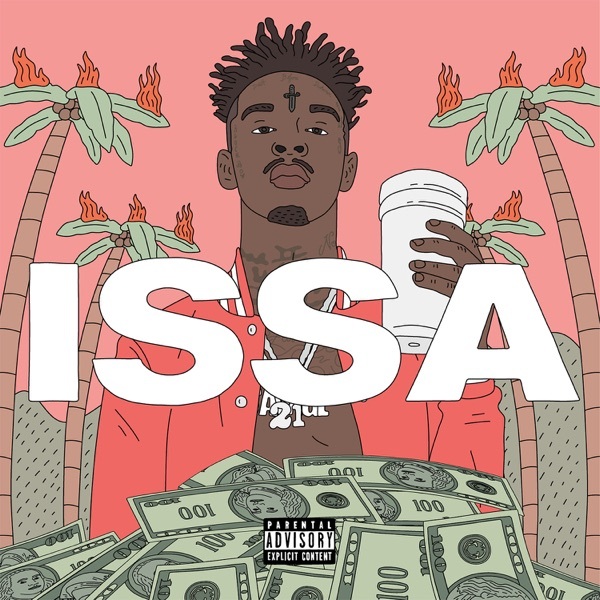 Prominent examples include the late Lil Peep, who had “CryBaby” scrawled in a large font above his right eyebrow (After Peep’s death, Post Malone got a tattoo of his face, “CryBaby” included); 21 Savage, whose clarification to an interview question about the knife on his forehead launched a meme that eventually spawned his album title; the late Fredo Santana, with his Manson-esque forehead cross; and the Chucky-esque Tekashi 6ix9ine, whose face is covered in “69” tattoos. That face tattoos could go mainstream seems unlikely, but strange fashion swings have happened before. It’s hard to think of a clothing item that’s more ubiquitous than the T-shirt, but the humble cotton garment hasn’t always been omnipresent. For the first century or so of its existence, it basically functioned as underwear — something for laborers and military personnel to wear under their uniforms. Going outside without a proper shirt on top was even illegal in some places, according to this Gizmodo article. Then Marlon Brando donned a T-shirt to sweat across the stage and screen in A Streetcar Named Desire, unintentionally inspiring a boom in sales. Since then, T has been the default shirt shape for generations of casual, comfortable people. Phil Marandola, marketing manager at The Finery, a tattoo removal service with locations in five Northeastern states, says that while it might be more common to see the errant face tattoo these days, he believes that’s simply a function of tattoos in general being more prevalent. “If ten years ago, a given percentage of people who were tattooed had face tattoos, I think that same percentage of people have them now. There’s just so many more people getting tattooed.” This is in contrast to hands and neck tattoos, which he says were once mostly for people already covered in ink but are now increasingly popular among office types. The Finery has a community service program that offers free hand, neck, and face tattoo removal for ex–gang members and people who have been incarcerated. “We see the majority of face tattoos in that program,” he says. I spoke with Te Kanawa, a Maori artist at Otautahi Tattoo in Auckland, who says that, “In times of old, anything that was on your face was to let people know what your skills were, where you came from, or what sort of rank you hold within your tribe or your family. It was almost similar to a C.V.” These elaborate designs were banned in the early 20th century. In recent years, there’s been a resurgence linked to a movement to reclaim cultural identity. “For a while you had a lot of gang members that would wear [tā moko]. Even though they used it for intimidation, they were the ones that kept it alive. We almost lost the whole art form. Because of them, it stuck around. Now it’s becoming more acceptable. You have lawyers, judges, politicians that have tā moko facial tattoos.” Te Kanawa tells me that he sees a parallel between the acceptance of tā moko tattoos and the general acceptance of the sort of face tattoos that rappers get. “I think it’s becoming a lot more mainstream now because it’s seen as artwork. There was a time when artwork would only be hung in galleries and in museums,” but increasingly, tattoos are given a similar respect. Kanawa’s comments made me realize that, rather than treating the new crop of face tattoos as an aberration, there’s an argument to be made that they’re a return to tattooing’s roots. They might not have the cultural value of the Maori tā moko, but don’t SoundCloud rappers’ tattoos also function like a walking C.V. — a way to broadcast to the world what they, as rappers, care about? Peep’s “CryBaby” encapsulated his entire persona. Post Malone wants people to know he has an ambiguous relationship towards fame, or at least that he knows who Nirvana is. 21 Savage raps like a guy with a dull knife on his forehead, and Lil Pump raps like a guy with a rocket below his right eye. Broadcasting one’s résumé on one’s face is definitely a way to get noticed, but will non-famous people adopt the practice? 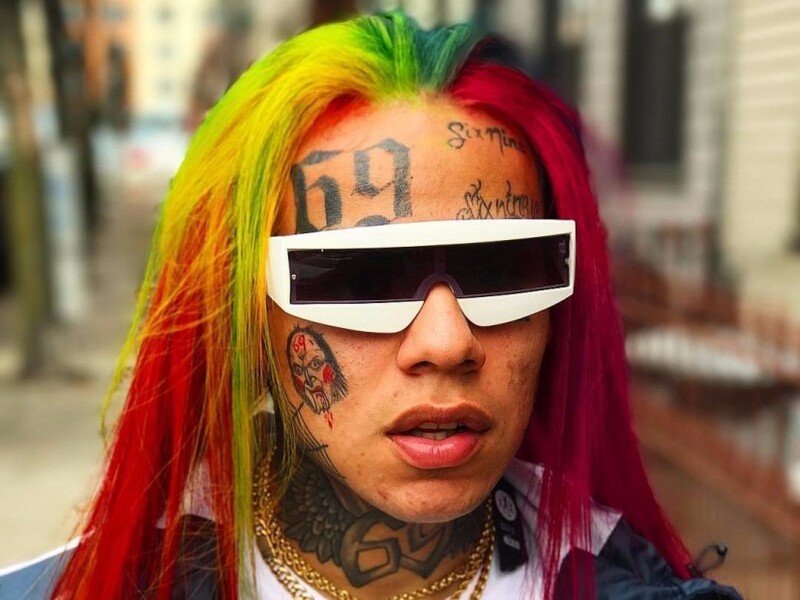 Or, to put it another way: Could someone like Lil Pump do for face tattoos what pre-bloat Marlon Brando did for T-shirts? I love your face tattoo, are you a Soundcloud rapper? Face tattoos are all over the place, and so are their meanings. Post Malone doesn’t want you to stay away from our newsletter, though. Hanson O’Haver is a writer living in Brooklyn.